Our staff here at Frank's Family Car Care, which is located in Port Charlotte, FL 33953, is friendly and knowledgeable about your Dodge vehicle. 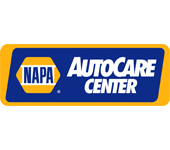 They are waiting to answer your questions and get you scheduled for any necessary repairs or maintenance. Our technicians can diagnose and fix a wide array of problems that can arise in Dodge vehicles over time, because we know what the Dodge brand stands for. Dodge is the sporting brand in the Fiat Chrysler Automobiles stable of offerings. The cars are sharply designed, sporty and refinedso much so, they are desirable amongst those looking for thrills as well as those looking for reliable and affordable transportation. Frank's Family Car Care at Port Charlotte, FL has expert technicians eager to help keep your Dodge in prime operating condition. Dodge cars have similar problems to those that affect its corporate stablemates, as powertrains are often shared amongst Chrysler and Dodge products. Engine and transmission issues can arise, but the well-trained Dodge service technicians at Frank's Family Car Care can handle almost any problem. Our eager and friendly staff is waiting patiently here at Frank's Family Car Care to meet all your Dodge repair needs. We understand the hassle one can face without their car, so we promise to work quickly and efficiently to get your Dodge back on the road and you back on your way. All you have to do is call us at 941-766-8622 to schedule an appointment. Or you can stop by our service center and meet our staff in person.